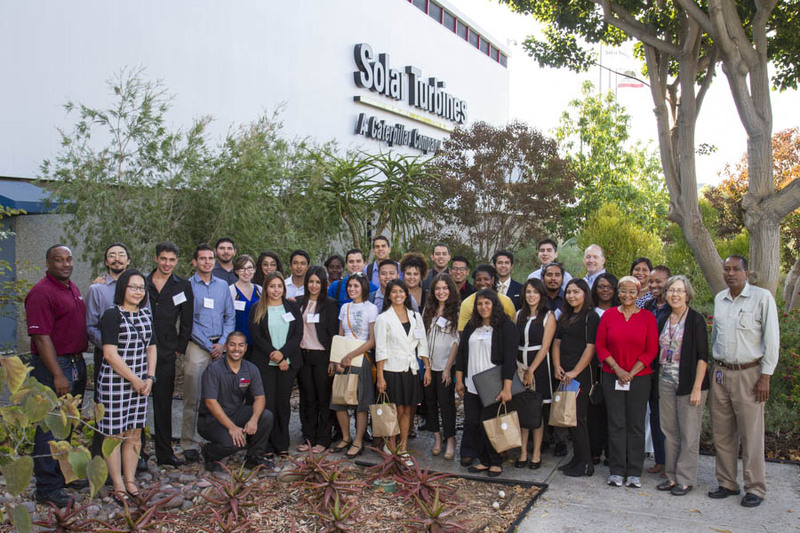 Solar Turbines hosted the San Diego MESA Alliance’s Joint Planning Conference that brought student leaders and professionals together to network, collaborate and exchange ideas for improving math, engineering, and science education. San Diego Gas & Electric (SDG&E), along with the San Diego Mathematics, Engineering, and Science Achievement (MESA) Alliance, hosted a unique event that brought student leaders and professionals together to network, collaborate and exchange ideas for improving math and science education. 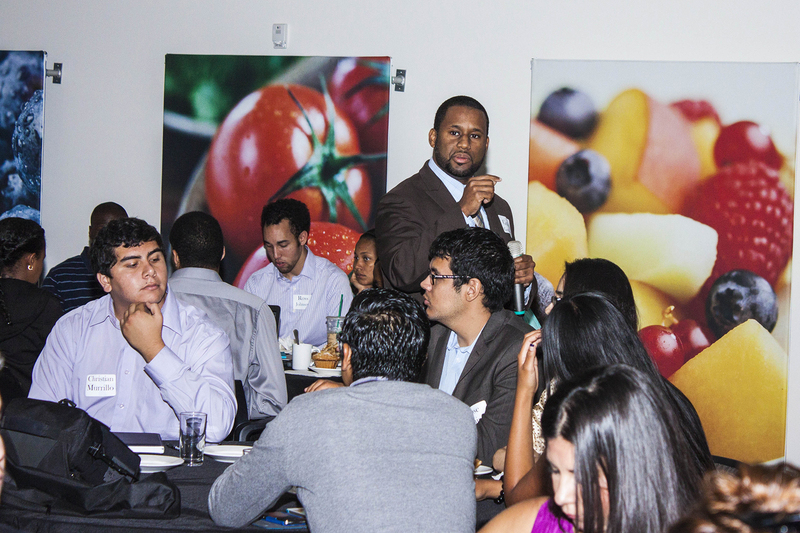 The event was sponsored by National Society of Black Engineers Professionals San Diego and co-sponsored by the Society of Hispanic Professional Engineers San Diego Professional Chapter, to increase the number of students to pursue academic and career paths in Science, Technology, Engineering and Mathematics (STEM) industries, increase retention in these disciplines, and promote opportunities in energy efficiency, sustainability, and green career pathways. This unique conference is expected to enhance the professional development of tomorrow’s leaders. The purpose of the conference is to improve chapter effectiveness, improve communication between stakeholders – students, professionals, industry and MESA staff, and promote leadership development. The conference addressed chapter basics, joint planning, community college-university-industry relationships, ethics, and leadership training. Raytheon Company, along with the San Diego Mathematics, Engineering, and Science Achievement (MESA) Alliance staff, hosted a unique event that brought student leaders and professionals together to network, collaborate and exchange ideas for improving math and science education. Their goal is to increase the number of students to pursue academic and career paths in Science, Technology, Engineering and Mathematics (STEM) industries, increase retention in these disciplines and promote opportunities in post graduate studies. The San Diego MESA Alliance and Raytheon Company will host a unique event to bring student leaders and professionals together to network, collaborate and exchange ideas for improving math and science education. This year the conference will be hosted by Raytheon Company and San Diego MESA Alliance, which aims to increase the number of students to pursue academic and career paths in Science, Technology, Engineering and Mathematics industries, increase retention in these disciplines and promote opportunities in post graduate studies. This unique conference is expected to enhance the professional development of tomorrow’s leaders. The purpose of the conference was to improve chapter effectiveness, improve communication between stakeholders – students, industry and MESA staff, and promote leadership development. The conference addressed chapter basics, joint planning, community college-university-industry relationships, ethics, and leadership training. See the conference agenda for specific sessions. On Thursday, August 12, 2010, Raytheon Expeditionary Warfare Center and Rick Engineering Company hosted more than 50 student leaders and industry professionals for the 2010-2011 San Diego Region Joint Planning Conference for Engineering and Science Student Chapters. The purpose of the annual event was to provide a forum for the leaders of various student and professional organizations. Representing the 53rd district of California, Congresswoman Susan Davis presented advice for current college students, updated attendees on project’s she and her staff are currently working on in support of education in light of the current California and nation economy, shared thoughts about where the future of high education lies in regard to Science, Technology, Engineering, and Math (STEM) fields, the status of state and federal aid in the educational field, and lastly, touched upon the value of engaging in community service. On Friday, Aug. 22, Raytheon’s Expeditionary Warfare Center hosted more than 50 student leaders and industry sponsors for the 2008 San Diego Mathematics Engineering Science Achievement (MESA) Alliance Joint Planning Conference for engineering and science student chapters. Society of Hispanic Professional Engineers, National Society of Black Engineers and Society of Women Engineers to collaborate to improve chapter effectiveness and communication between stakeholders and to promote leadership development.